In my view, Aston Martin had the best booth at the 89th Geneva Auto Show. 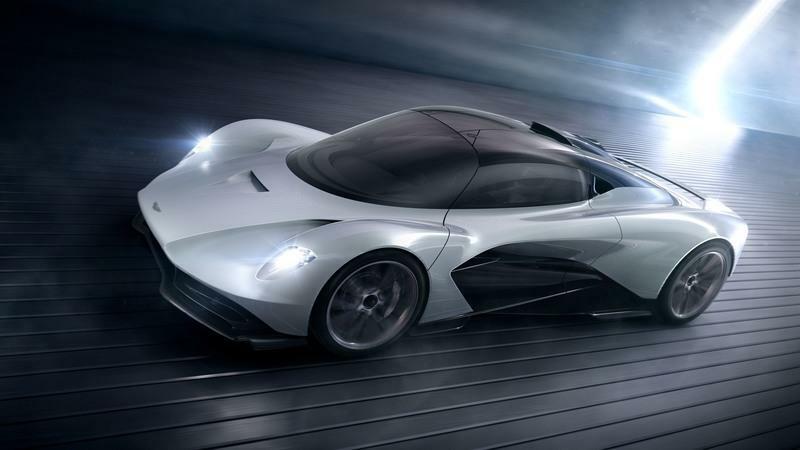 The British manufacturer presented the Valkyrie in an almost-production-ready specification and, on top of that, two other mid-engined supercars similar to the road-going beast developed in conjunction with Adrian Newey and the rest of the brains at Red Bull Racing. I talked in a different article about why I think the big players in the supercar realm let us down at the Geneva Auto Show and why Aston Martin was the only one who didn’t disappoint with its offering, although I’m no fan of having three midship supercars that almost look alike. Aston Martin’s supercar onslaught may be surprising to many, but it should be even more surprising to find out it was on the cards before, a long while before. 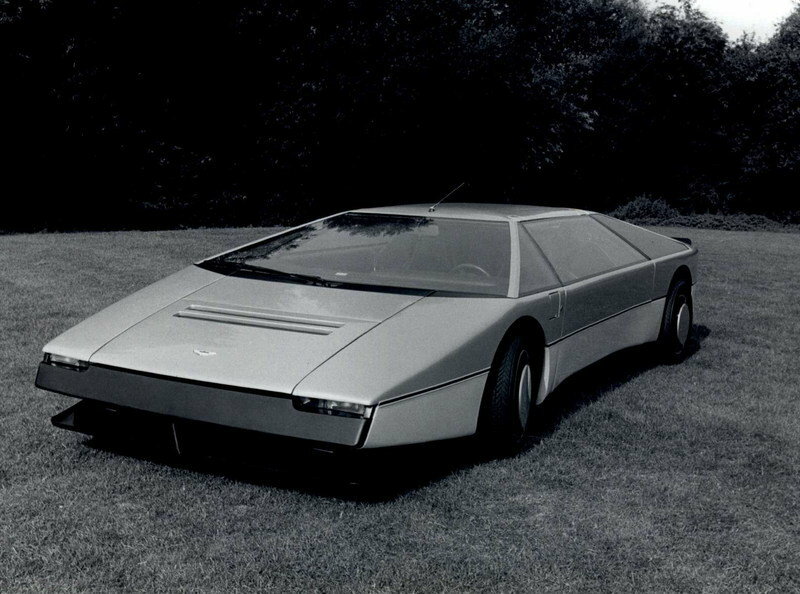 In fact, the first Aston Martin with the engine in front of the rear axle, the Bulldog was slated to go into limited production in 1980 but only one example was built and shown-off in 1979. Imagine how Aston Martin would’ve looked like today if they’d started building supercars 40 years ago. 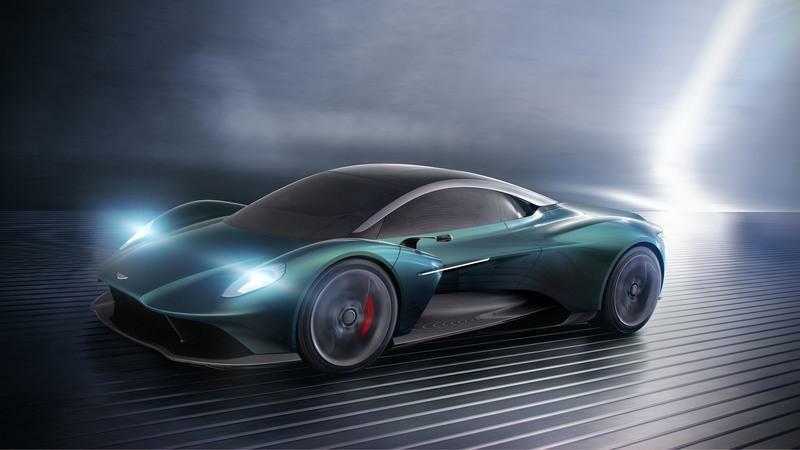 It might’ve already been the Ferrari and McLaren killer it now wants to become via the Vanquish and the AM-RB 003. The Bulldog was a hit in the very early '80s, especially as Aston Martin had been very close to collapse under debt and had been put under administration merely a few years prior. But this wasn’t a new experience for David Brown’s company as, throughout the 20th century, Aston Martin was close to closing its doors (which actually happened) seven times, something current CEO Andy Palmer is more than keen to avoid. Initially, the Bulldog was known as Project K-9.01, the ’K-9’ name probably borrowed from the Dr. Who series, and was developed to showcase the prowess of the engineering department at Newport Pagnell. Mike Loasby oversaw much of the engineering side of things on the Bulldog before leaving Aston Martin for DeLorean in 1979. Keith Martin took over as Chief Engineer of the project while enjoying the support of then-Managing Director Alan Curtis who came up with the name after flying with the Scottish Aviation Bulldog plane. 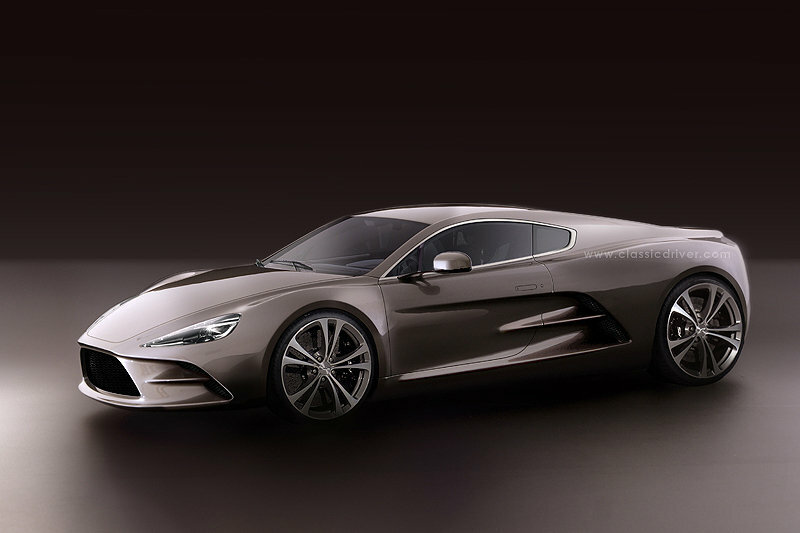 The design of the supercar is the work of William Towns, the same man who penned the radical-looking Lagonda. His 186-inch-long creation featured no less than five headlights hidden behind a fake grille incorporated in the nose section. The wedge shape styling was typical of the day but what wasn’t typical was the size of this beast. I mean, the Bulldog sat just one inch higher than the original Countach LP400, but it was 23-inches longer. What this meant was that, once you activated the power-assisted scissor doors, you were greeted by a rather comfy interior with (originally) brown leather and LED touchscreen displays like in the Lagonda sedan. 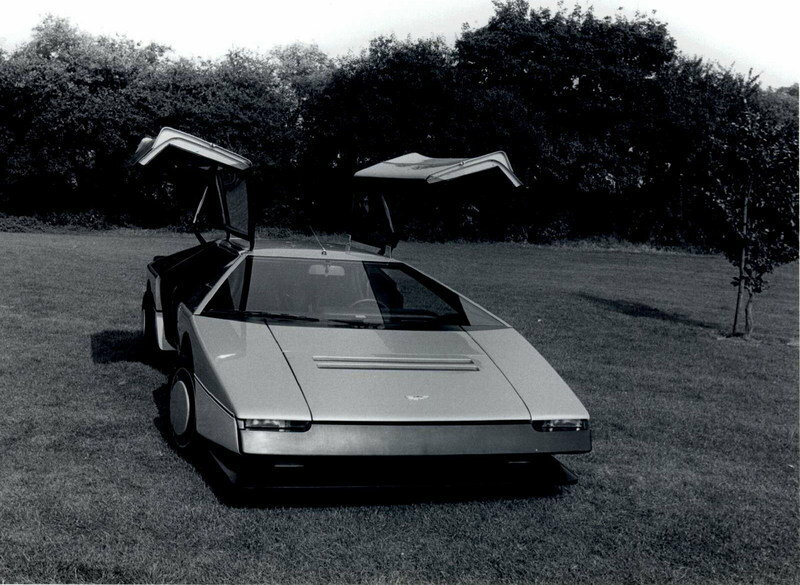 When first unveiled on 27 March 1980, at the Bell Hotel at Aston Clinton it didn’t have exterior rear-view mirror because Aston devised a rear-view camera with a small TV screen mounted within the center console. Nowadays, the Bulldog still has that rear-view camera but also has some bulky mirrors on the outside. The paint is also different. At first, it was painted in silver over grey but now it’s covered in two tints of green, and the interior is covered in much lighter tan leather. The Bulldog’s split-rim alloys with ’turbofans’ to aid brake cooling, a very popular solution in GT endurance racing at the time, were from Compomotive and were hugged by huge Pirelli P7 tires - 345/35 at the rear. These were needed because Aston Martin said the Bulldog could do 237 mph with the boost in the turbos turned all the way up. That’s 17 mph quicker than the Aston Martin One-77 and just 13 mph off the projected top speed of the Valkyrie. But where the Valkyrie has the aerodynamics and the oomph to back such a claim, the Bulldog didn’t, and high-speed runs at MIRA proved just that. A 5.3-liter, twin-turbocharged V-8 engine with Bosch fuel injection powered the Bulldog. On the test bed, with the Garret turbos on the edge of popping, the engine put out 700 horsepower but, in the car, power was down to 600 horsepower and 500 pound-feet of torque. In this trim, the mid-engined monster reached 192 mph at MIRA, and 0-to-60 mph was possible in just five seconds. 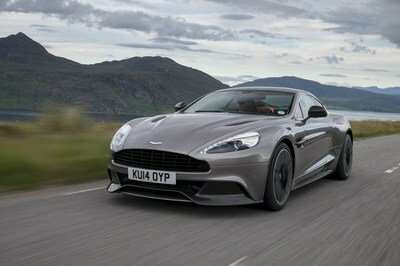 That top speed is on par with the old DBS while a V8 Vantage from 1979 could go no quicker than 170 mph. Aston Martin was actively pursuing the plan to build 12 to 25 Bulldogs to prove that "proof that “Aston Martin can build the ultimate road-going supercar," as Alan Curtis put it. But, in 1981, oil tycoon Victor Gauntlett took over Aston Martin and quickly shelved the plans for a limited run of Bulldogs due to the huge production costs it entailed. As a result, Aston Martin sold off the running and driving prototype in 1984 to a member of the Middle Eastern royalty for $868,705 in today’s money. In 2012, it popped up for sale with an asking price of $1.3 million and, frankly, that’s a fair price for a unique piece of Aston Martin heritage, although you may consider the car ugly in comparison to the Italian wed shaped supercars. Come to the end of 1981, the year Gauntlett took over Aston Martin, the first AM-powered Group C prototype was already turning demo laps during the so-called Dubai GP. That event was pushed forth by the same man who organized the more popular Birmingham Superprix later on in the ’80s and featured demo runs by Williams F1 cars (who were sponsored by Fly Saudia at the time) and others, a race for historic cars won by the late and great Gerry Marshall and a celebrity race with identical Citroen CXs. The event was a tough one to organize for Martin Hone who owned International Festival Services because, as Hone recalled later, "there was no racing circuit, an insufficient public road network to make a street circuit, no racing cars in the Emirates, few racing drivers, no trained marshals, and no officials." But it was a great occasion for the Group C Aston Martin to debut in the hands of Porsche works driver Derek Bell. Juan Manuel Fangio, Carroll Shelby, and Dan Gurney were also there as were James Hunt and Stirling Moss who appear in a photo leaning on the silver sports car. This new car, named Nimrod NRA/C2, was the brainchild of Robin Hamilton, prolific Aston Martin racer and dealer in the Midlands. Hamilton had previously shown up at Le Mans with his ludicrous GTP-spec AMV8-based grand tourers built by Link and, in 1980, developed a closed-cockpit prototype that actually previewed the looks of future Group C cars. 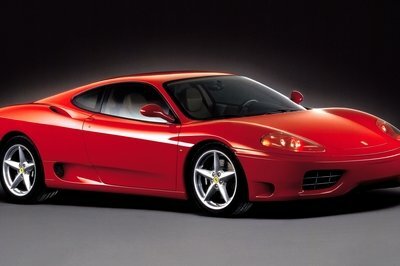 That model, known as the Gipfast D.P.L.M., was powered by the same 5.3-liter V-8 as seen on the AMV8 but without turbos. It was built by David Preece and Ken Heywood who enlisted AVJ Developments to tune the Aston Martin unit which put out 480 horsepower. The car was very slow during its first and only race, the 1980 Silverstone Six Hours, and suffered a race-ending suspension failure that sent it spinning in the embankment. Hamilton learned from the failed Gipfast project in the sense that he realized he needed some serious help from Aston Martin if this project was going to do something worthy to write home about. 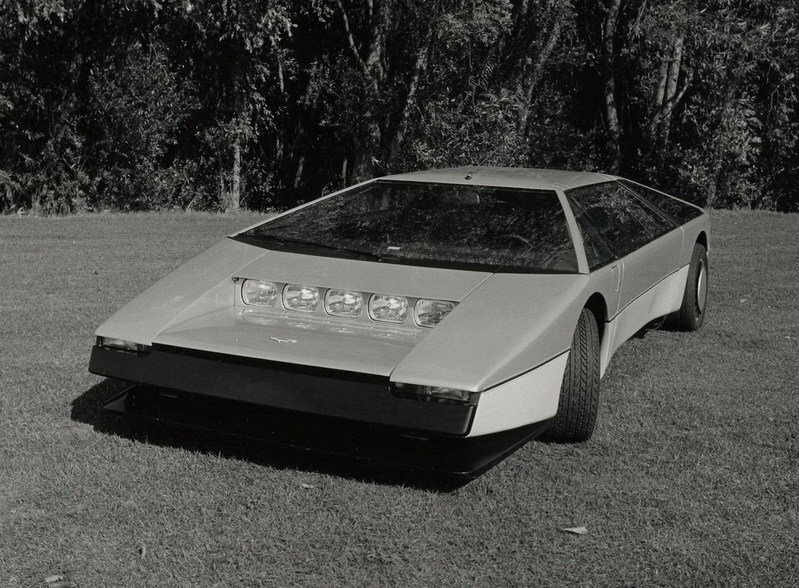 After all, the Gipfast was by-and-large a barn-built special. As such, Hamilton approached Gauntlett with "a desire to go into serious sportscar racing, unashamedly wave the flag and get Aston Martin back into something that it used to be very good at." As MotorSport Magazine writes, Aston Martin duly bought a 50% share in Hamilton’s new company, Nimrod, and ordered engine tuner Tickford to take care of the 5.3-liter V-8s. 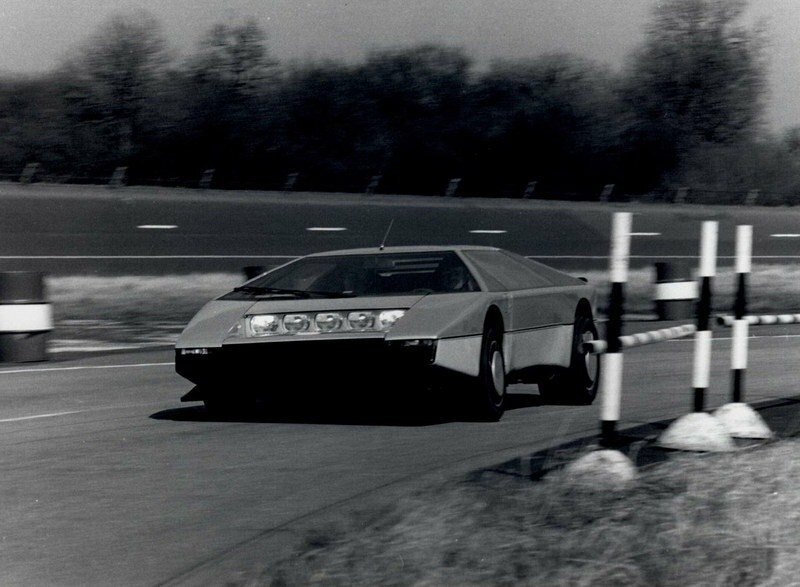 The first chassis for the Nimrod NRA/C2 was designed by Eric Broadley, Lola's founder and designer, which may seem like an odd thing since Lola was preparing its own Group C car in the oddly-shaped T610. But Hamilton & Co. knew nothing about building a chassis, so this came as a necessity, although they did take upon themselves to build the body. As it turned out, building the bodywork wasn’t something so easily within reach of the team of people assembled by Hamilton, and the end result was too heavy and overengineered. However, nothing was as dodgy with the Nimrod NRA/C2 as the Tickford-tuned engines. "In pre-season testing, the V-8s suffered failure after failure and the thought of tackling Le Mans at that moment was beginning to scare Hamilton stiff.," MotorSport Magazine wrote. Luckily, the Viscount Downe outfit bought a NRA/C2 and, with two cars on the grid for ’82, progress could be made at a faster pace with data was shared between the teams. The first race for the Nimrod was the 1982 Silverstone Six Hours, coincidentally also the first race of the much more famous Porsche 956. The 956 came home second trailing the slippery Lancia LC1 Spyder built to Group 6 regulations, and the Viscount Downe Nimrod came home sixth in the same lap as one of Jean Rondeau’s prototypes that had won at Monza on the opening weekend of the season. 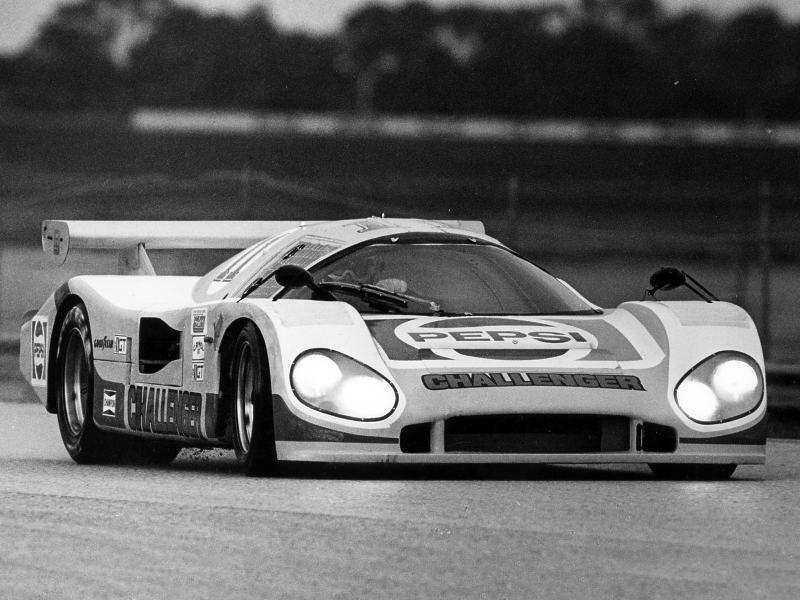 Up next, the two Nimrods were shipped to France to take part in the 24 Hours of Le Mans. The depth and variety in the Group C class field were amazing but, frankly, Porsche had this one in the bag almost before the race got underway with three 956s lining up on the grid. "We actually expected to do well," laughs Hamilton. "I don’t think you go into this sort of thing unless you are fairly confident, but it was ’lump in the throat’ stuff for all of us. My greatest satisfaction was the way that we worked together as a team and enjoyed it because without the team there was nothing. In some ways, the challenge from Porsche spurred us on. It was good working in that sort of environment, and we learned a lot from being in it," Hamilton added. The Viscount Downe entry finished seventh, the first Group C car home behind the Porsche 956s that came home in formation completely filling up the overall podium. The other Nimrod crashed heavily after the rear clamshell broke loose at 200 mph. Not so overengineered, methinks... Then came the financial crisis in the U.K. and Nimrod’s financial backing started to fade away while Tickford was still not coming up with reliable units. Basically, if you overrevved them, the valves would just go bust. "It sounds baffling, I know, but Aston’s own engines were ultimately the weak link in the chain," said Hamilton. 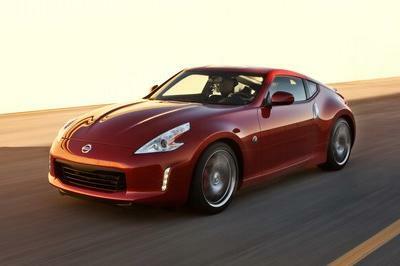 "We had developed a racing V8 that was not the most powerful engine but was completely reliable. It was a good old plonker. But Tickford wanted more power and increased the revs without doing the required development." This was proved once again at Spa where the engine gave up and then, before the Brands Hatch round, Gauntlett announced that he could no longer support Nimrod. With no money to return to the World Sportscar Championship in ’83, Hamilton turned his attention to the U.S. and did a whole season in the IMSA GT series. The car ran in GTP and was driven by A.J. Foyt before expiring at Daytona. After that, Foyt was famously drafted in Preston Henn’s Porsche 935L after learning how to shift a Porsche in a road-going example in the parking lot. Foyt would go on to set the fastest race lap in the wet and impress the easily-annoyed Bob Wollek who initially wouldn’t get out of the car when he saw Foyt on the pit wall instead of Claude Ballot-Lena who’d fallen ill.
At the time, Hamilton was developing the NRA/C3 with a carbon fiber tub that actually went through wind tunnel testing, but there wasn’t enough cash in the bank to make it happen. Simultaneously, Richard Williams of Viscount Downe soldiered on without help from Hamilton and developed a heavily updated bodywork for the NRA/C2, the finished product being known as the NRA/C2B. 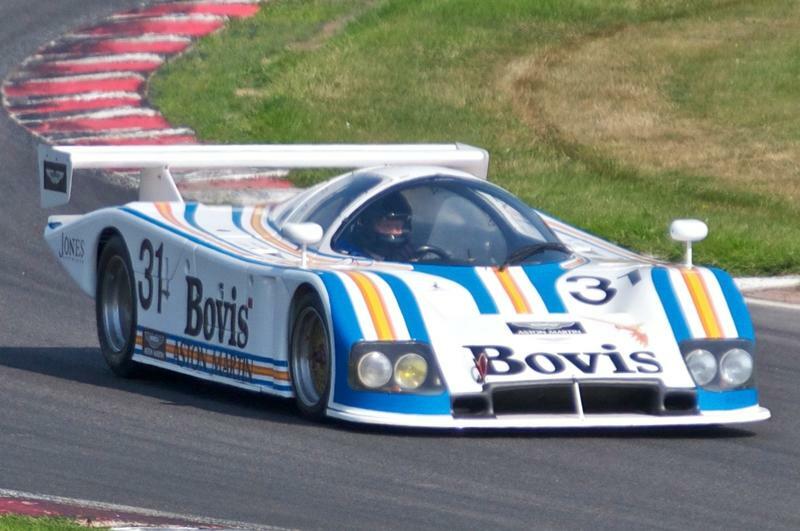 Powered by the same Tickford Aston Martin DP1229 engine, the Bovis-sponsored car (the same chassis #4 used by the team in 1982) appeared with its new clothes at Silverstone where it finished seventh overall - the first non-Porsche car. After that, the C2B did not finish a race for the rest of 1983 with either the engine or the transmission proving to be the Achille’s heel. At Daytona in 1984, the two versions of the Nimrod met, but they were both overshadowed by the first Porsche 962 driven by John and Mario Andretti. The 962 took pole and was almost six seconds quicker than the C2B that started seventh and finished 16th. For Silverstone, there were two C2Bs on the grid, but none finished and then, at Le Mans, the two Nimrods tangled with one another and crashed out. The incident claimed the life of a marshal and Viscount Downe’s program. By this time, chassis #2 used by the works Nimrod team in 1983 had been purchased by Performance Motorcar, Jack Miller finishing 15th in the car’s final race, at Columbus, in 1985. Six years after Robin Hamilton hung up his team owner’s hat, Aston Martin officially returned to endurance racing in the form of a joint venture with Ecurie Ecosse. The AMR1 was built by Courtaulds. 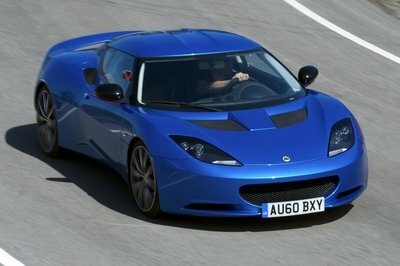 The carbon-and-Kevlar monocoque was designed by Max Boxstrom, and the cars were run by "a company especially formed called Proteus Technology (Protech) Ltd with Richard Williams as Managing Director," according to AstonMartins.com. Reeves Callaway, the man behind Callaway Cars, carried out the build of the Aston Martin-badged RDP87 6.0-liter, naturally aspirated V-8 engines. Protech was an outfit run by Ray Mallock who also was also a shareholder in Ecurie Ecosse, Mallock himself a driver of the Viscount Downe Nimrod just a few years prior. Aston Martin skipped the season-opening race at Suzuka, but two chassis were readied up in time for the official test sessions at Dijon-Prenois in May of 1989. 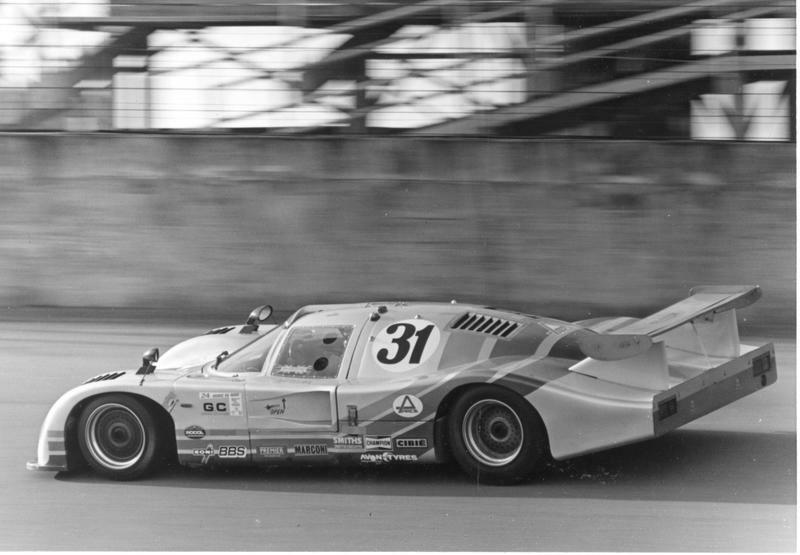 Later that same month a single AMR1 returned to Dijon for the race proper but disappointed: qualified 24th and finished 17th in the hands of David Leslie and Brian Redman. A second chassis was completed in time for Le Mans when the team showed up with a black stripe across the left-hand front fender in memory of former Chairman David Brown who’d passed away. Again the cars were slow but, at least, one of them was reliable enough to come home 11th overall in a race dominated by the Mercedes-Sauber C9. The AMR1's best finish came at the next round, on home ground. Leslie and Redman finished fourth overall at Brands Hatch behind the two Mercedes and a Joest Porsche 962. Thereafter, the AMR1 finished within the top 10 in every race until the end of the season, but Aston Martin didn’t return in 1990 due to the uncertainty of the Le Mans race as the FIA boffins pushed for the 3.5-liter formula. Aston Martin didn’t have an F1-oriented 3.5-liter engine (with either 8, 10 or 12 cylinders) so the AMR1 never raced again although the name did return on a hideously bad front-engined LMP1 car in 2011 which Aston Martin conveniently forgets about if you ask about it. Around the turn of the Millenium, Aston Martin started considering to replace the Virage-based Vantage with a new model. In 1999, the company introduced the DB7 V12 Vantage at the Geneva Auto Show but the Vantage of the future, codenamed AM305 at the time, was supposed to be mid-engined. Dr. Ulrich Bez, the company’s CEO at the time didn’t agree with this direction and the AM305 which turned into the 2005 Aston Martin V8 Vantage had the engine in front of the windshield. Three years after the V8 Vantage was introduced, an Aston Martin engine sat in the middle of a car and, again, it was a race car. Aston Martin had been back in official quantity in endurance racing since 2005 with the impressive DBR9 GT1 racer, and the DBR9’s 6.0-liter V-12 was fitted to a Lola B08/60 chassis in 2008. Jan Charouz’s Charouz Racing System team ran the test mule ahead of a full-blown works Aston Martin Racing effort in the LMP1 class in 2009. Charouz came home on the podium twice in 2008 in the European Le Mans Series, and this was enough for Aston Martin to go on with the project. The company ordered Lola to modify the B09/60 and make it look more similar to an Aston Martin project, and that's how the Aston Martin DBR1-2 was born. As you’d expect given the V-12 engine in the middle, the car sounded amazing and, with the Gulf Oils livery on it, it looked the part too. Happily, it was also the fastest non-diesel LMP1 car in 2009. The prototype won first time out in the 1000 Kilometers of Catalunya and went on to finish fourth overall at Le Mans. The team also won the 1000 Kilometers of Nurburgring that year in grand style with two other DBR1-2s finishing in second and third overall. Aston Martin continued campaigning the DBR1-2 into 2010 when, again, it proved quick and scored a number of podium finishes. Then, after the AMR1 blunder at Le Mans, the team reverted to the DBR1-2 until the end of 2011 when Aston Martin decided to stop its P1 program and focus on the GTE side of things. At the end of 2011, Danish coachbuilder HBH who’s behind the styling of the Zenvo ST1 unveiled the HBH Bulldog GT based on a V12 Vantage. It looked fierce, was supposed to have the V12 cranked up to 666 horsepower and 548 pound-feet of torque but nothing transpired. The thought of a 186 mph mid-engine Aston Martin sent shivers down our spines at the time although we would have had to wait until 2013 for production to start. What are Aston Martin’s Plans for the Future? For starters, don’t expect Aston Martin to desert its grand touring ways anytime soon. However, as we’ve seen at Geneva, Andy Palmer and his motley crew are very serious about offering a host of models that can challenge the best from Ferrari, McLaren, and Lamborghini. The Valkyrie is just around the corner, in both ’normal’ and AMR Pro guise, and the AM-RB 003 isn’t too far away into the future either. We’re almost sure it’ll be called Valhalla and, by the time it’ll drop in 2021, it will cost $1.31 million apiece. 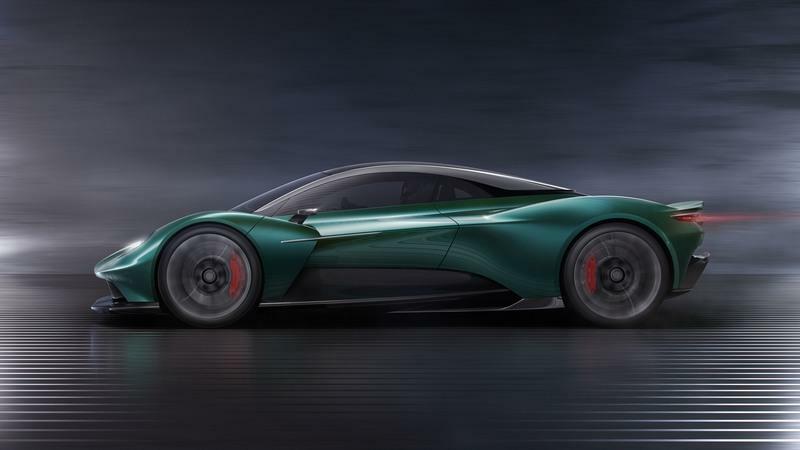 The AM-RB 003 will also be the first to feature Aston Martin’s own hybrid, turbocharged V-6 although we’d rather see the Cosworth-developed Valkyrie be fitted to more models, but that’s not going to happen. The AM-RB 003 has already been nicknamed the ’Baby Valkyrie’ because it looks almost the same, only smaller. Also awkwardly similar is the Vanquish Concept. Aston Martin tries to explain how the three aren’t actually three birds of a feather: "There’s less of the negative space that defines the look of the Aston Martin Valkyrie and AM-RB 003. 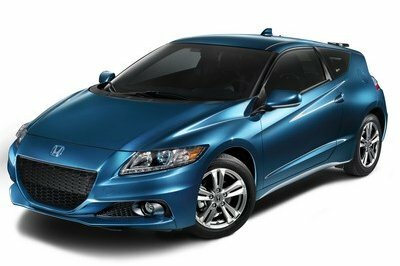 It’s a prettier car, and purposely so, and it’s been designed to thrive in a less extreme performance envelope,” said Miles Nurnberger, AM’s Design Director quoted by Top Gear. 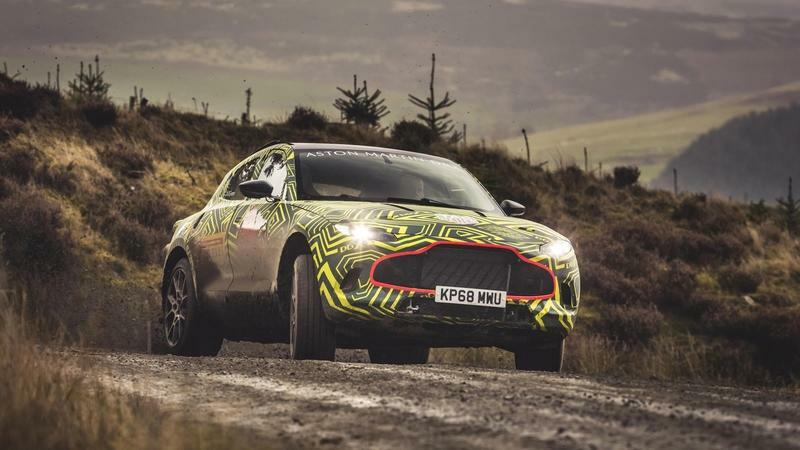 While I’m no fan of seeing a fleet of cars looking so similar (at least they aren’t ugly), it’s nice to see a manufacturer such as Aston Martin branch into the supercar realm on the footsteps of building its first SUV, the DBX. Let’s hope we’ll see Aston Martin healthy and happy in 2021-2022 when the Vanquish will return.